Are you looking for one-off cleaners who can give your home in Stamford Hill the deep cleaning that it desperately needs? Look no further than One-Off Cleaning because we are exactly what you need. Our house cleaning team in N15 will arrive at your home exactly when you need them ready to eradicate the dust, clear out the mess and get rid of the grime for good. If you are pulling your hair out wondering where that strange smell is coming from then we will find it, and we’ll get rid of it so you won’t have to so much as sniff it again! Book our cleaning services in N16 now – just call 020 3397 3282! How Will Our Team Operating Throughout N15 Help You? Our one-off cleaners will give you everything you need to make your home shine once more. If you need help tackling those annoying and unsightly stains on your upholstery, then they have the best steam cleaning equipment for the job! If you need a one-off clean to remove the dirt and the grease from your oven, then we can do that for you too! There is hardly anything that our cleaning crew doesn’t know about domestic cleaning and you can be sure that you will be getting the team with the most experience in Stamford Hill, N15! Not only will you be getting a service that provides excellent results but you will also be getting this service for the lowest price around! When it comes to one-off cleaning services in Stamford Hill we know that there is definitely a need for speed. You don’t want to be waiting around for the job to be done and you want to be able to see results instantly and that is exactly what our one-off spring cleaning team will give you in N15 and N16! We have streamlined our already award-winning methods to make sure that we are working at optimum speed at all times! This doesn’t mean that we will sacrifice quality though; we’ll always make sure that the results you get from your clean are exactly what you’re after. If you want speed and quality, then contact us today on 020 3397 3282. Stamford Hill is part of the London Borough of Hackney and it has one of the biggest Jewish populations in Europe. The famous St Ignatius College is located in the area and has educated many people of note such as Alfred Hitchcock. 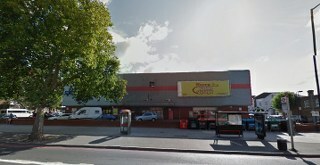 The area is bordered by Walthamstow, Stoke Newington and Manor House, and the nearest travel links can be found at Stamford Hill railway station the entrance of which is in Amhurst Park. The station is operated by London Overground and provides links to Enfield Town, Cheshunt and London Liverpool Street. How Can You Get the Service You Want? If you are looking for excellent cleaning services in Stamford Hill, N15 then that is exactly what you will get from One-Off Cleaning. We pride ourselves on consistently providing excellent customer service if you’re not happy then we’re not happy either! You can book the one-off cleaning service that you want in minutes, simply by calling 020 3397 3282. Our wonderful customer service team will be more than happy to tell you everything you want to know and you won’t have to listen to confusing jargon either. We’ll make everything simple so that the decision you make is completely informed. When you get your free quote, that will be the price that you pay! We will always keep you in the loop.